There are a handful of different wagons on the market to choose from as I am sure you have researched, such as wood or steel products.. 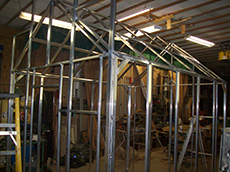 However, aluminum provides the long lasting durability and strength of both with none of the drawbacks. More durable than wood, quality extruded aluminum is just as strong as steel for this use without the risk of rust, rot or fire. The structure will be there for generations to come. 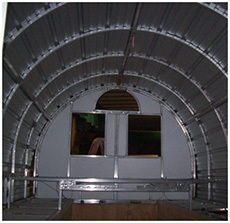 All materials are fastened to the aluminum frame structure with the procedure of drilling and screwing proving even more added strength.